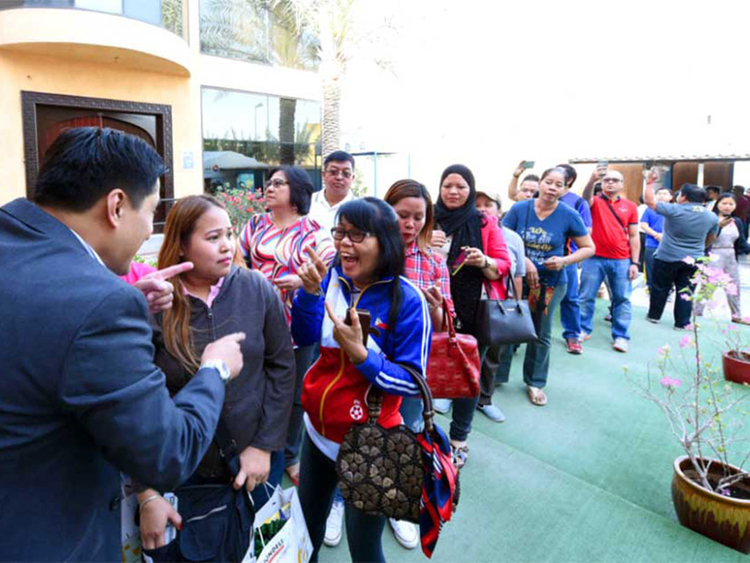 From January to September 2018, remittances made by Filipinos across the emirates reached more than $1.5 billion (Dh5.5 billion), making the UAE one of the Philippines’ biggest sources of money transfers. Are Indian rupee, Philippine peso weakest currencies right now? But not all these funds are sitting idly in bank accounts. The Philippines, which deploys thousands of its workers abroad every year, is heavily dependent on remittances. The funds being sent regularly by Filipinos living overseas are an important source of sustenance for the survival of families who have been left home and don’t have any other means of income. According to estimates by the Philippine central bank, Filipino expats in the country sent more money compared to their peers in Kuwait, Bahrain and Oman, with their remittances accounting for a third of the total amount of cash flowing from all GCC states. Expatriates living in Saudi Arabia remained the biggest source, with expats there remitting a total of $1.6 billion, slightly higher than the money transfers from the UAE. However, while the UAE remained one of the biggest sources of funds for the Philippines, remittances from the country have actually declined this year compared to the previous year. UAE cash transfers from January to September 2018 dipped by 19.9 per cent. Other remittance corridors are seeing a decline in money flows as well, with Saudi Arabia recording a 12.3 per cent drop, Oman posting a 35.3 per cent decline and Kuwait and Bahrain showing dips of 19.2 per cent and 17.1 per cent, respectively. When asked what’s behind the slowdown in money transfers, exchange houses in the UAE refused to share a comment. Fund transfers from other countries have also declined as well, especially in Europe, which posted a whopping 100 per cent drop and Russia, posting a 19.7 per cent decline. However, Filipinos living in other popular destinations, such as those in Asia and the United States, are sending more cash home. Remittances from Singapore and Hong Kong went up by 5.8 per cent and 10.5 per cent, respectively, while Filipinos in the US increased the value of money transfers by 5.8 per cent.